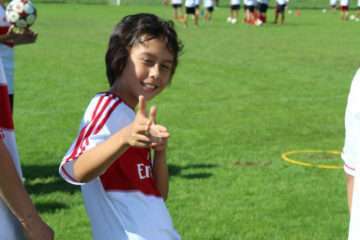 During the AC Milan camps the goalkeepers receive an different AC Milan Academy – Sport kit and follow a specific training program that is based on the peculiarity of the role of the goalkeeper in the team. So, during the mornings, the goalkeepers are separated from the rest of the group and dedicated coaches train them separately. In the afternoons, however, during the internal team tournament and the individual trails, they rejoin their peers. 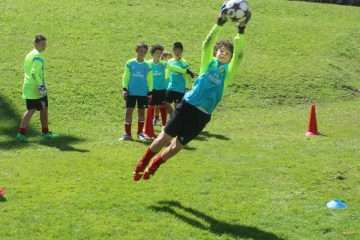 In soccer the role as goalkeeper is surely one of the most demanding. 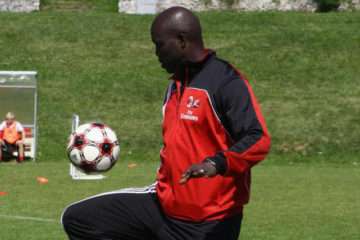 Indeed, the goalkeeper is an atypical player both because he almost always plays in a restricted space (the penalty area) and because inside that space, unlike the other players, he cannot touch the ball with his hands. During the game, the goalkeeper can be considered the starting point and the last defence. 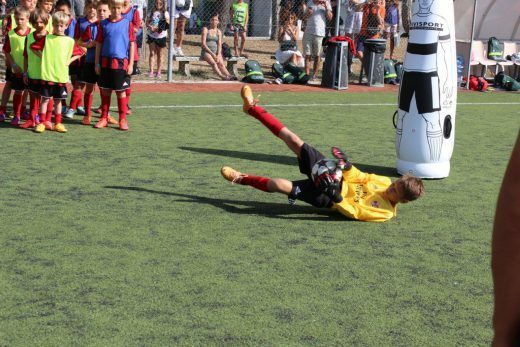 Playing as goalkeeper requires great responsibility and this is why a goalkeeper has to have a strong personality allowing him to face the most difficult situations with high levels of concentration and psychic balance. 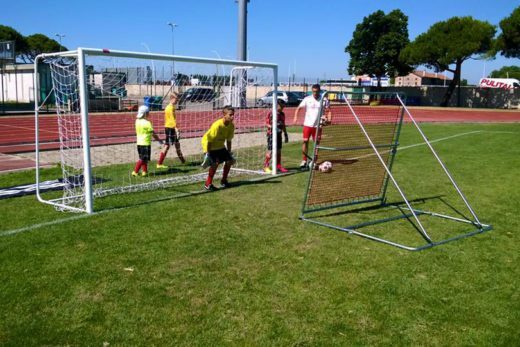 Today the goalkeeper is required to have special skills and knowledge in addition to those typical of his role, which is to protect his goal and to be a reference point for the game tactics of his teams (in particular the defence), showing the importance of the ability to direct the defence. The other physical qualities are indirectly trained when repeating the technical workouts.